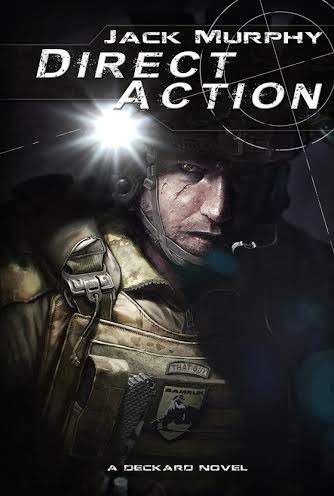 Daniel Defense has provided us with the full release on their latest rail system. You can find the complete details below. 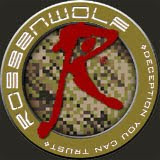 Black Creek, GA- September 30, 2013- Daniel Defense, Inc. has unveiled the latest advancement in rail systems for the AR15 platform. 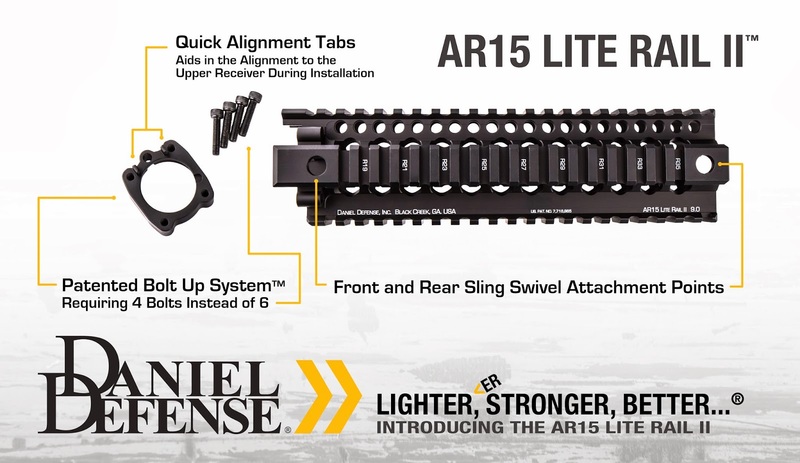 The AR15 Lite Rail II™ is the next generation of Lite Rail from Daniel Defense. With thousands of the Lite Rail Series already in existence, this proven handguard just got better. 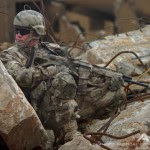 The improved design enhances the rail’s structural integrity, improves functionality, aesthetics and ease of installation to the weapon system without compromising its best-known attributes, one of which being the lightest rail system on the market. Enhanced features include a machined from one piece aluminum rail which replaces our previous two piece welded design, our patented Bolt-Up System™, requiring only 4 bolts instead of 6, with tabs that aid in alignment to the upper receiver during installation. Front and Rear Sling Swivel Attachment Points are integrated into both the left and right side rails and are designed to limit the swivel’s rotation. 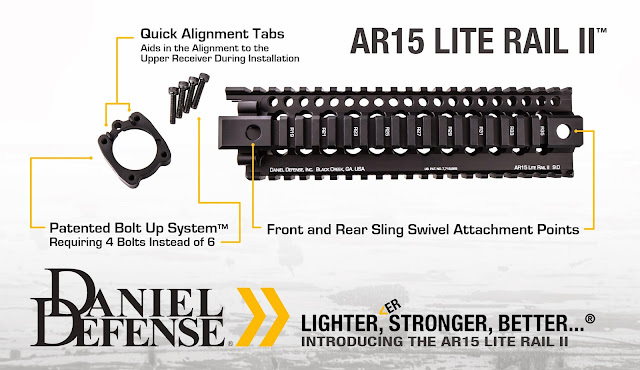 The AR15 Lite Rail II is available in multiple lengths and variations, including: AR15 Lite Rail II 7.0, 9.0, 9.5 FSP, 10.0, 12.0, 12.0 FSP, 12.0 FSPM and 14.0. While most options are available now, the AR15 Lite Rail II 12.0 FSPM and 14.0 will be available in Q1, 2014.